On Design Santa Barbara we welcome local artist Frank Goss, Ralph Waterhouse, James Paul Brown, and Lizabeth Madal. The greatest illistrater/ painter is Norman Rockwell who did barber shoppe scene and coffee shoppe scenes but in Mexico the equivalent artist is Jesus Helgerra who was a Mexican painter. Among his most famous works are La Leyenda de los Volcanes, La Leyenda, Popocapetl & Ixtaccihuatl, Hidalgo, “Rompiendo las Cadenas”, El Aguila y la Serpiente, and Juan Diego y la Virgen de Guadalupe. Jesús Enrique Emilio de la Helguera Espinoza was born to Spanish economist Alvaro Garcia Helguera and Maria Espinoza Escarzaga on May 28, 1910 in Chihuahua, Mexico. He lived his childhood in Mexico City and later moved to Córdoba in the state of Veracruz. His family fled from the Mexican Revolution to Ciudad Real, Castilla la Nueva, Spain and thereafter moved to Madrid. Helguera later married Julia Gonzalez Llanos, a native of Madrid, who modeled for many of his later paintings and with whom he raised two children. As of today some of Jesus Helguera’s paintings are shown in the Soumaya Museum in Mexico City. Waterhouse Gallery was established in 1984 by Ralph & Diane Waterhouse. 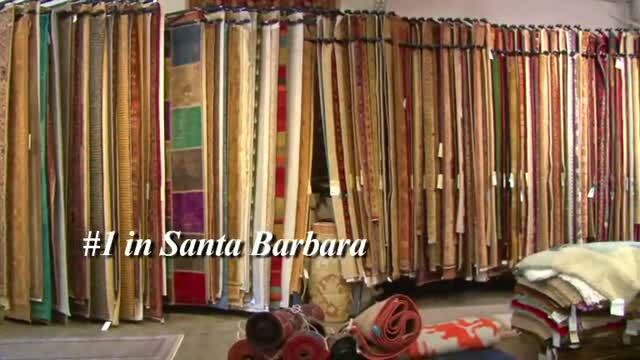 In 1991 the Gallery and local artist moved to its present location at the corner of State Street and Figueroa in La Arcada, a beautiful Courtyard in the heart of Santa Barbara’s Cultural District. Waterhouse Gallery offers its clients, work by artists who reflect the highest standards of quality and integrity within their chosen fields of painting. Diane & Ralph are proud to personally own work by most of their artists and intend to make that an ever expanding collection. In Conclusion, the works shown in our website depict our entire inventory, which is constantly changing. James-Paul Brown is a local artist who was born in Indiana and was groomed throughout his youth for a career in banking and finance by his parents. While Brown’s mother recognized his artistic talent early in his childhood he began painting. His father had a different future in mind for him and placed him in summer internships. The investment houses of Merrill Lynch, Northern Trust Company and Hartford Insurance. He then worked for the Chicago Tribune in advertising sales. In addition joined the staff of CBS Radio FM, running the Midwestern office. During 1970 Brown published the first edition of Earth Magazine. In addition, later that same year introduced Earth News Radio and established the similarly formatted Rock News syndication. In 1980, Brown sold Earth News, divorced. remained involved in radio syndication for his bread and butter. Furthermore, moved to a Santa Monica cottage to pursue the life of an artist. After two solid years of 10 hour days of painting. members of the burgeoning Venice Art Community and gallery owners began taking notice of his work. Furthermore, Local Artist Lizabeth Madal spent her early years living along the Eastern Seaboard. She relocated to Southern California and earned a Master of Arts Degree, with Honors from California State University, Northridge. In addition, she later attended the Academy of Art College in San Francisco and began painting with oils, transferring the beauty of the California landscape to canvas.